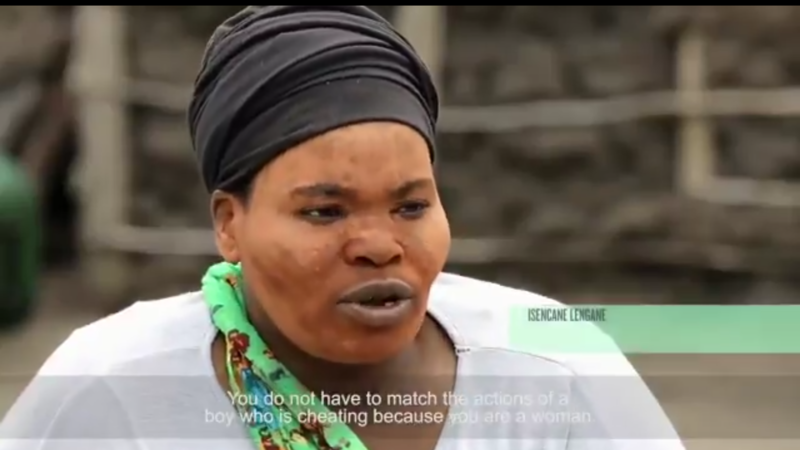 A new reality show on the DStv channel Moja Love ‘Isencane Lengane’ which loosely translates to ‘This child is still young’ left social media ablaze this weekend, following a 15-year-old girl’s marriage preparations with a 16-year-old, and the advice it all came with. Isencane Lengane, which started airing on March 2,shows the journey of two youngsters who are about to tie the knot. Hailing from Ulundi in northern KwaZulu-Natal, both the teenagers are still at school but very eager to get married, a step many social media users have deemed unheard of. The show which airs on Moja Love 157 channel had people on Twitter calling for social workers’ intervention. KwaZulu-Natal remains one of the provinces with an existing scourge of child marriages, which are more often forced marriages organised by parents, or even worse the girl gets abducted. Isencane Lengane begs to differ though. Both parties are willing lovers who are willing to tie the knot and live happily ever after, but, they are currently both incapable of providing for themselves, when they go to school they still need to ask for money to carry. What the show depicts is the sad reality that has been happening for years in both KwaZulu-Natal and the Eastern Cape. Where, if children fell in love and wanted to get married, instead of parents talking them off, they would offer to carry the expenses and get them married. On the show, the girl, Thando is being advised by her elders to stay in the marriage through worse or better. One of the aunts is heard saying she should never cheat on Siyacela Dlamuka (husband to be), but just know that if he cheats, it’s a mistake. The same patriarchy that is deeply entrenched and has kept many women on abusive and long failed marriages is now being passed on to the younger generation. These kids are young and deserve a chance at living their best lives at teenagehood, without binding themselves into an institution that requires more than just commitment. Chances are, they hardly know themselves enough to even figure out what they want in life, but they are now faced with the burden of having to learn and get to know each other. In 2018, Parliament heard that there were almost 100 000 married children, whom most are often subjected to a multitude of abuse. “The married child is often prevented from returning to school due to the commonly held view that schooling interferes with the child’s duty as a ‘wife’,” Centre for Child Law deputy director Karabo Ozah told News24. More than 25 years after the dawn of democracy, many communities are still uninformed about the impact of child marriage, so much so that this epitome of abnormality is still seen as a norm and tradition, among many things. The show, Isencane Lengane is a good example of how women, young and old are still used as the tool to oust poverty for many families and earn them respect from the community. At the age of 16, Thando is being told that once she leaves for her new home, she no longer has a place to return to should the going get tough. Instead of being talked out of her plan to get married at such a tender age, she is being advised to learn to become a beholder and keep her marriage strong. No one in the family mentions anything about her future, and should her in-laws refuse her a chance to further her studies upon completion of matric, her future, like many married children is doomed.